Garden around the pool with a Spanish “patio” for the kids to play, furnished with plenty of sun beds, parasols and all of it for the exclusive use of the clients. The apartments are clean three times a week, with a change of towels and bed sheets once a week. 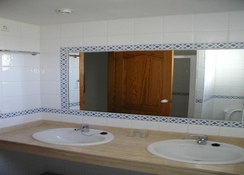 Each apartment and studio has a terrace with views of the swimming pool or garden.Es Salobrar Apartments can arrange car or bicycle rental and airport transfers. 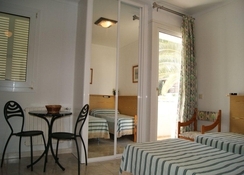 Guests can also request beach umbrellas.Free parking can be found near Apartamentos Es Salobrar. 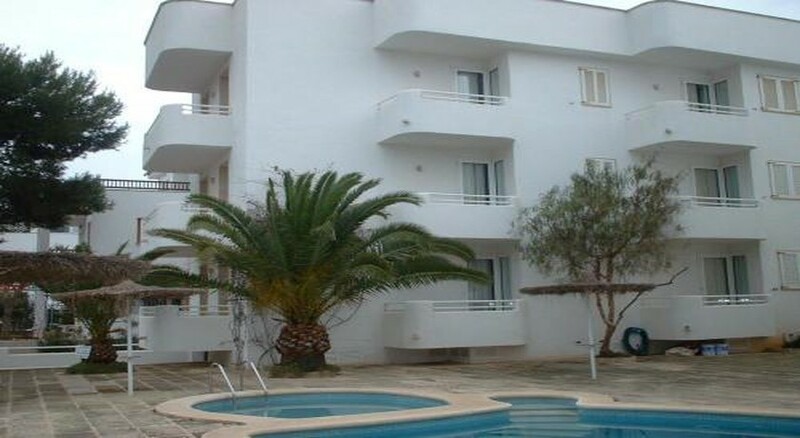 This small complex offers bright, functional accommodation with air conditioning and tiled floors. 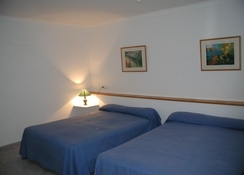 All studios and apartments include satellite TV, a safe and a kitchenette with a washing machine. TERRACE Sun terrace with balcony furnished with table and chairs. LIVING-ROOM Highly decorated living room, very well illuminated, with satellite TV, air condition, and a Sofa bed. KITCHEN Fully furnished kitchen with fridge-freezer, two fires for the cooking and coffee machine. BATHROOM Fully furnished bathroom, with shower over the bath. BEDROOM One separate bedroom, a double one. Sofa bed in lounge. 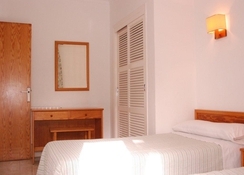 Es Salobrar is situated 300 metres from Playa del Puerto Beach, in Colonia Sant Jordi.Es Trenc Beach is a 10-minute walk away, while Colonia Sant Jordi’s fishing harbour is within 400 metres. Boat trips are available to the nearby Archipelago de Cabrera National Park.